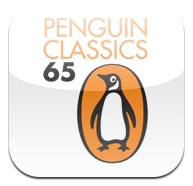 For sixty-five years Penguin Classics has been the leading publisher of literature in the English-speaking world, providing readers with a global bookshelf of the best works throughout history and across genres and disciplines. Now, in an effort to further enhance the discovery of great literary content, comes the Penguin Classics Complete Annotated Listing iPhone App. 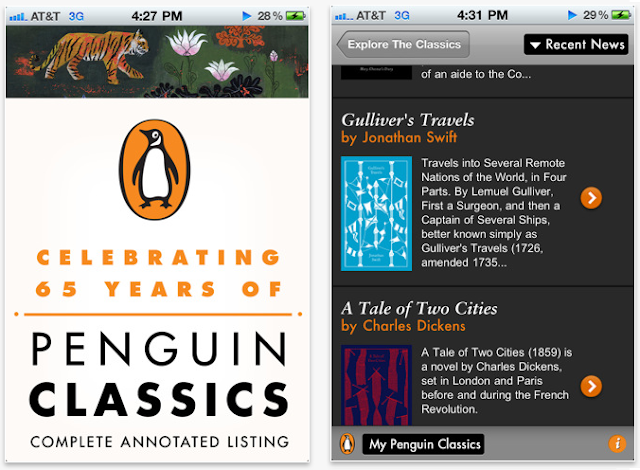 This exciting Web-based app connects you to the classics like never before, putting the complete, annotated descriptions of all Penguin Classics currently in print right in your pocket! The Complete Annotated List of the Penguin Classics library, searchable by title or author. “Discover the Classics” section which lets you populate books based upon Subject, Genre, Time Period, and Region. Feeling lucky? Give your iPhone a shake and see what the App finds for you. Quizzes that will test your knowledge of over 60 Penguin Classics. Facebook integration so you can share you quiz scores, as well as Penguin Classics you’ve read and Penguin Classics you want to read, with your Facebook friends. An Essential Classics section, a must for any Classics aficionado! The app will be continually updated with news, additional quizzes and lists, events info, and the latest Penguin Classics titles.